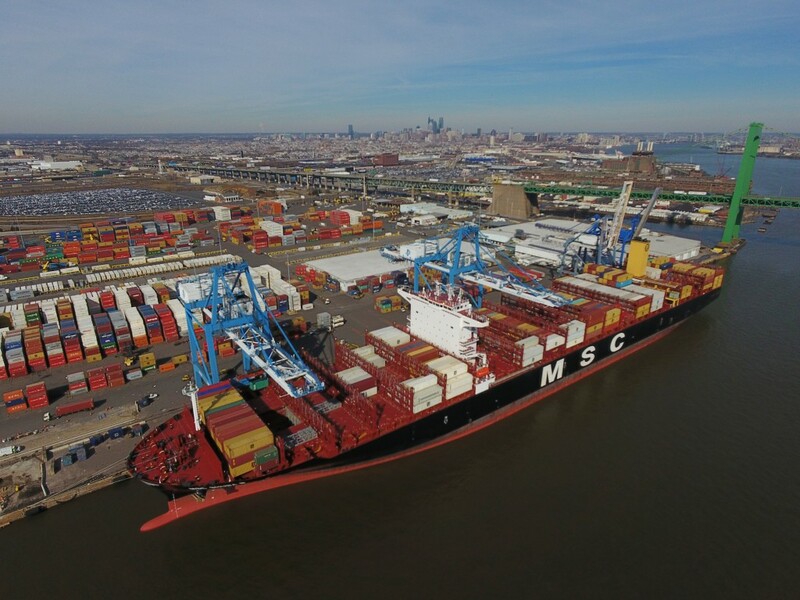 The largest container vessel to ever call at The Port of Philadelphia arrived yesterday at the Packer Avenue Marine Terminal. The M/V MSC Shuba B arrived from the West Coast of South America with a cargo of predominately perishable fruit. The origin of most of the cargo was from Chile and Peru, which included table grapes, peaches, plums, pears and blueberries. In Photo: PhilaPort presents master of M/V Shuba B with replica Liberty Bell. 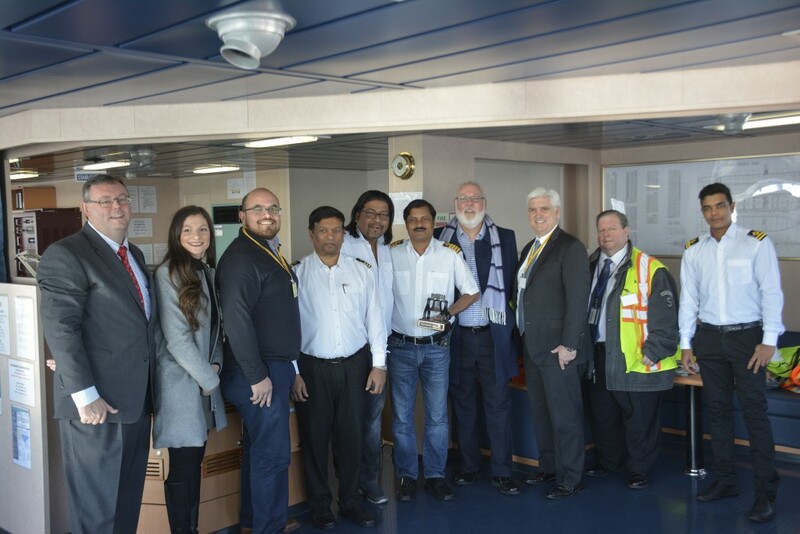 From left to right: Joseph Fox, PhilaPort; Christina Lista, Chilean American Chamber of Commerce; Byron Montalvo, Holt Logistics Corp; Shuba B Chief Mate, Chief Engineer, and Captain Binay K. Singh; J. Ward Guilday, Pilots’ Association for the Bay & River Delaware; Sean Mahoney, PhilaPort; Dan Lazovich, MSC and Shuba B Second Mate.